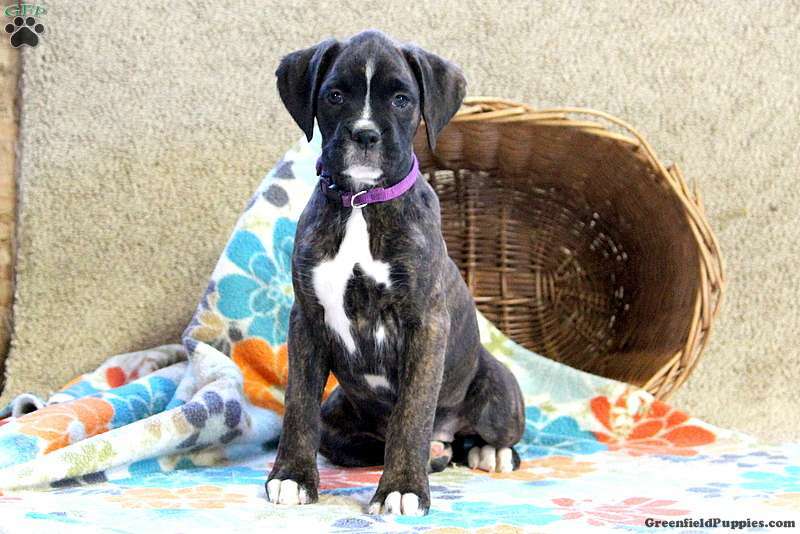 Lily is spunky Boxer puppy who will venture her way right into your heart. This curious gal loves to romp and play. She is family raised and can be registered with the ACA. In addition to being vet checked, Lily is up to date on vaccinations and dewormer. The breeder also provides a health guarantee. 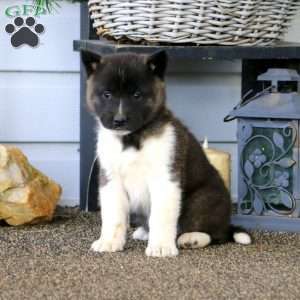 To learn more about this adventurous pup, contact Lloyd today. 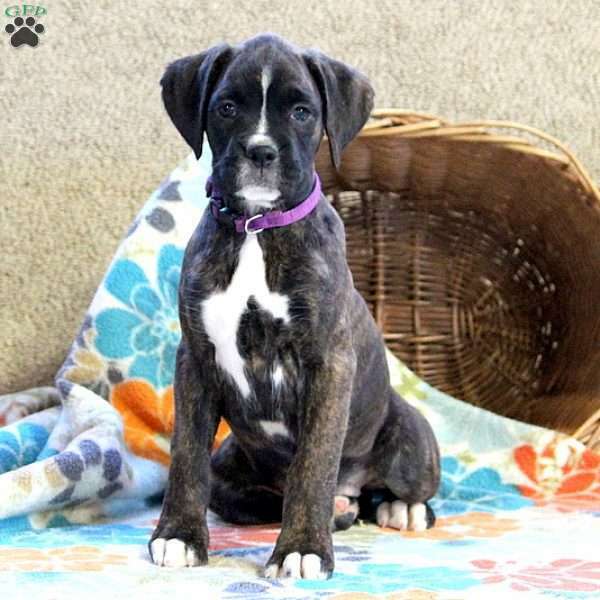 Lloyd Miller is a breeder located in Lancaster, PA who currently has a litter of Boxer puppies for sale. They are family raised and can be registered with the ACA. To learn more, please contact Lloyd today.